Looking for your perfect Last Minute Holiday? When winter starts to descend upon the UK and it feels like summer is years (not months!) away, looking for a winter holiday can be hugely rewarding – especially if you’re looking for a last minute getaway! From a short city break to buy the family’s Christmas presents, to an extended winter sun holiday where the skies are always blue, a winter break is the perfect way to escape from the UK! Deciding upon a last minute winter sun getaway is a great way to escape the cold weather in the UK when it starts to get you down! If you find yourself tormented by rain storms or frustrated by the dark evenings, why not head to Australia, and find yourself in the middle of summer? 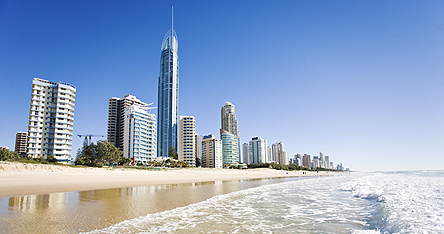 Cities like Brisbane and Sydney are particularly popular – with sunshine, beaches and laid back barbecue culture prevailing – and airlines often offer last minute sales on fares to the country in winter, keeping the price of your holiday down. If you’d rather stay slightly closer to home, Dubai is a great holiday destination year-round, and you can often get great deals on last minute holidays in winter as fewer people choose to visit. There’s also the option of heading away for Christmas or New Year, too! If you don’t fancy a traditional Christmas dinner, why not head over to New Zealand to eat freshly caught fish on a beach in the sun? A last minute trip can be a great idea, especially if you’re happy to stop-over in Singapore or Hong Kong on route, as this will keep your flight prices down. Disneyland in California and Walt Disney World in Orlando both offer great New Year’s eve celebrations with fireworks and extra attractions, and are great ways to bring in the New Year with the kids! If you head off to a non-Christian country, such as Dubai, you can find great deals over the Christmas period – with some hotels even offering a Christmas dinner on December 25th! We also have great information and tips on how to pick a great last minute winter holiday – from which destinations are warm to what you’ll need to remember to pack! If you’re looking for a last minute holiday, take a look at our Late Deals page!